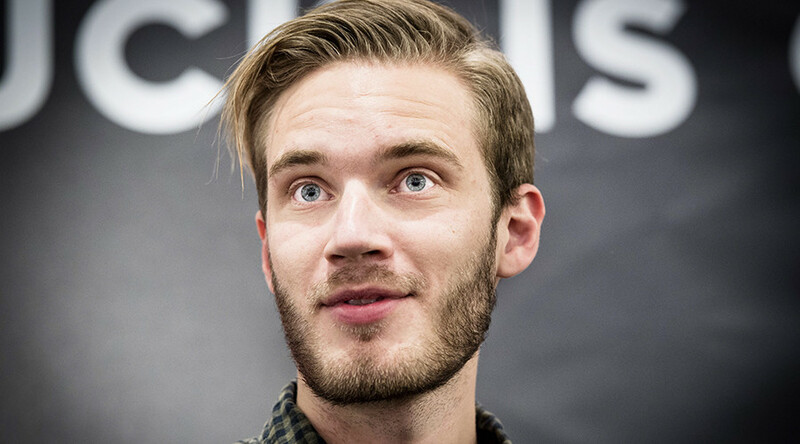 Supporters of PewDiePie have defended the YouTube star after he was dropped by Disney following allegations of anti-Semitism over a video he made for his channel. Taking to social media, supporters accused Disney of hypocrisy given its own history. The hashtag #ResistPewDiePie trended on Twitter after being tweeted by the vlogger, real name Felix Kjellberg, who was dropped by both Disney and YouTube after he paid two men to hold up a sign reading ‘Death to All Jews’ as part of a video prank. The internet never forgets and was quick to accuse Disney of hypocrisy given the questionable imagery in its own cartoons. Twitter users shared images from US propaganda films made by the animation studio during World War II depicting Donald Duck as a Nazi in ‘Der Fuehrer's Face’. Disney’s production was created as one of a series made under government contract to promote the purchase of American war bonds and to mock or undermine Hitler’s regime. However many social media users have ignored the film’s wider message, instead pulling choice clips depicting Donald reading Hitler’s ‘Mein Kampf’ and dressed in the Nazi uniform. Confusingly, the films aren’t those traditionally cited in allegations of anti-Semitism by Disney. Instead that honor usually falls to its depiction of ethnic stereotypes in their films from the 1930s. Defenders of PewDiePie also made accusations of double-standards in the entertainment industry, asking why it’s OK for shows like ‘South Park’ and ‘Family Guy’ to make similar jokes without issue. A Wall Street Journal video highlighting several incidents in which PewDiePie used Nazi imagery and made alleged anti-Semitic joke was mocked by supporters in a parody, highlighting the sensationalism of the video. Disney distanced themselves from the star after the publication approached them for a comment on the vlogger.